It was only three years ago that I ran my first marathon, in Paris in 2012. If you had asked me then if I could run a 46 mile ultra marathon over the Welsh hills, I would have laughed and told you to….well I can’t say what I might have said. Earlier this year a friend at running club asked if I would like to join him on a 33 mile ultra over the South Downs. I told him to get lost, in the most lighthearted way I could think of. But, early in the summer, something changed. I can’t say what it was. I don’t know. 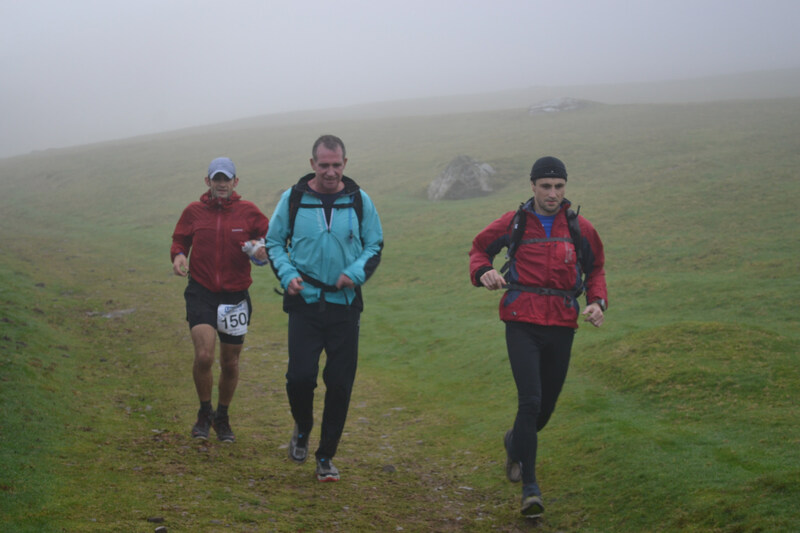 But I decided to sign up for the Longman Ultra after all, and we ran it in September this year. I thoroughly enjoyed it, although I did have some stomach problems and was rather sick afterwards. But I finished and I wasn’t last. In fact I was 18th out of 40 competitors. 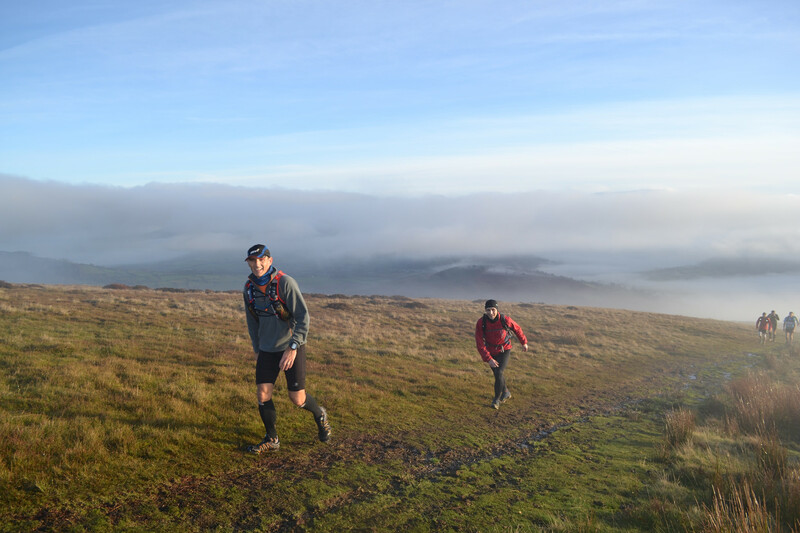 So with that in mind, way back in February 2014 a few of my Worthing Harriers friends had signed up to run the 46 mile Brecon Beacons Ultra. At that time there was still no way I was going to attempt 46 miles. But, in October, having run my first ultra and when a space became available, I decided to go for it. 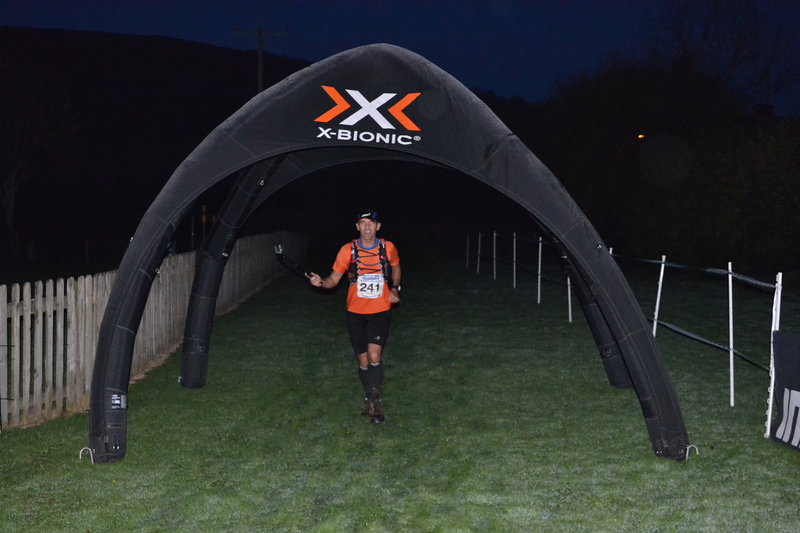 The Beacons Ultra is very popular and fills up very quickly, so I was very lucky to get in. 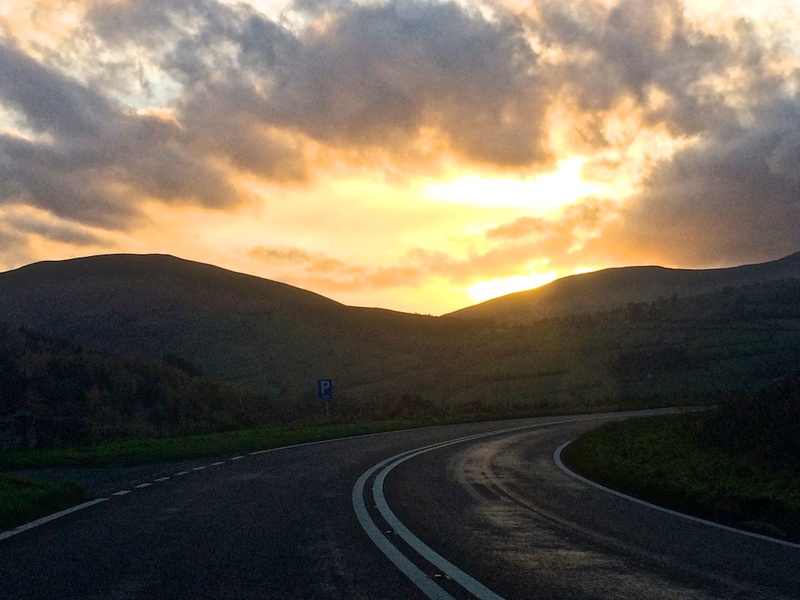 With the back story complete, it was on Friday November 14th 2014 that Richard, Scott, Grant, Mark and I set off for the village of Talybont-on-Usk in the Brecon Beacons, South Wales. First stop in Wales was Likeys Adventure Sports shop in Brecon. The Brecon Beacons Ultra is in its seventh year and was set up by Likeys Adventure Sports shop patrons Martin and Sue Like. Registration for the event is at the shop on the Friday or very early on the morning of the race in Talybont. We decided to get it out of the way. It also provided an opportunity to purchase any last minute essentials to fulfil the compulsory kit requirement. 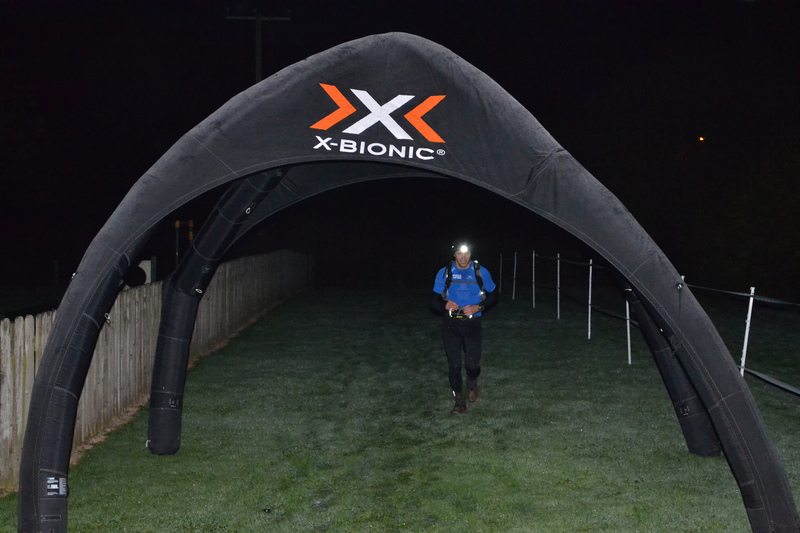 There was an option to borrow some X-Bionics clothing which we took up. After the short drive on to Talybont, we ate at the White Hart pub and settled down for the night at Belvedere Bed and Breakfast. 5:30am was dark and cold as we clambered out of bed and headed down to make our own breakfast. Too early even for the proprietor of the B&B to get up! Actually, she did offer, but we told her it really wasn’t necessary. It is only a short walk from the B&B to Henderson Hall where the pre-race briefing takes place and where we carried out final kit checks, and in our case, camera checks. Both Scott and I planned to carry our GoPro cameras. 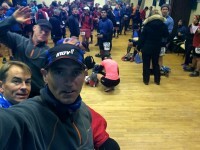 Martin gave the briefing to some 180 runners and then there was a short walk to the start line. Once there, there was no messing about. No sooner had we got in position than Martin said “30 seconds to go”, and then we were off. 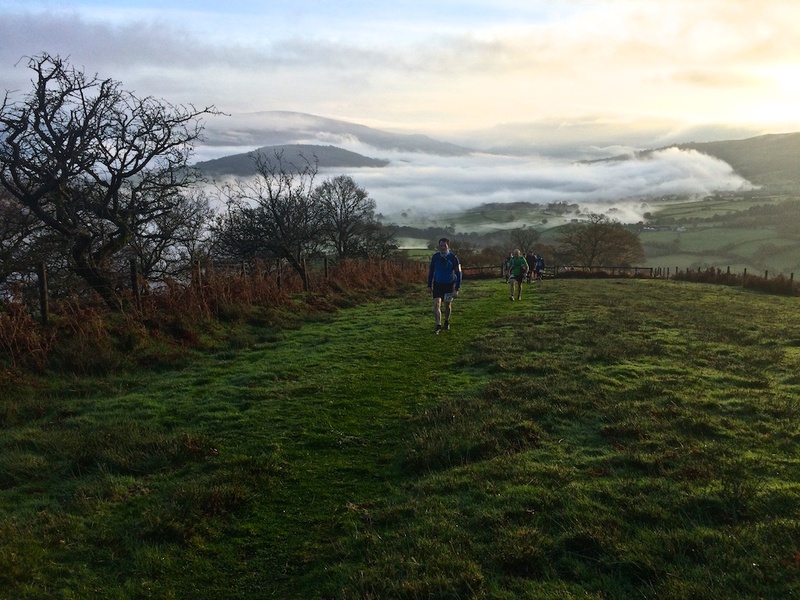 The Brecon Beacons Ultra 2014 was underway. My plan was to finish in 10 hours taking 5 hours for each lap. My nutrition plan was radically different than for any other run I have done. Real food. So I had four pouches of Ella’s Kitchen baby food which I planned to take every 2 hours and some individually wrapped mini peanut butter and Nutella sandwiches on white bread (easier to digest), which I would eat as and when I felt the need, but ideally when moving slowly, say up hill. 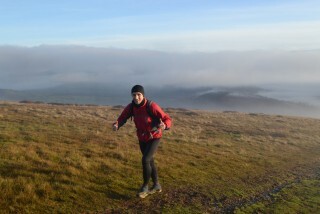 Talking of hills, 3 miles from the start, having run along the canal path the route takes runners up Tor-y-Foel. It’s a steep hill, with a number of false summits, and it contains the majority of the elevation in the run. However, the summit is not the highest point of the race. Richard, Scott and Grant had signed up as a team and so they were trying to push a bit. They kept together for the entire race and were ahead of Mark and me from a couple of miles in. 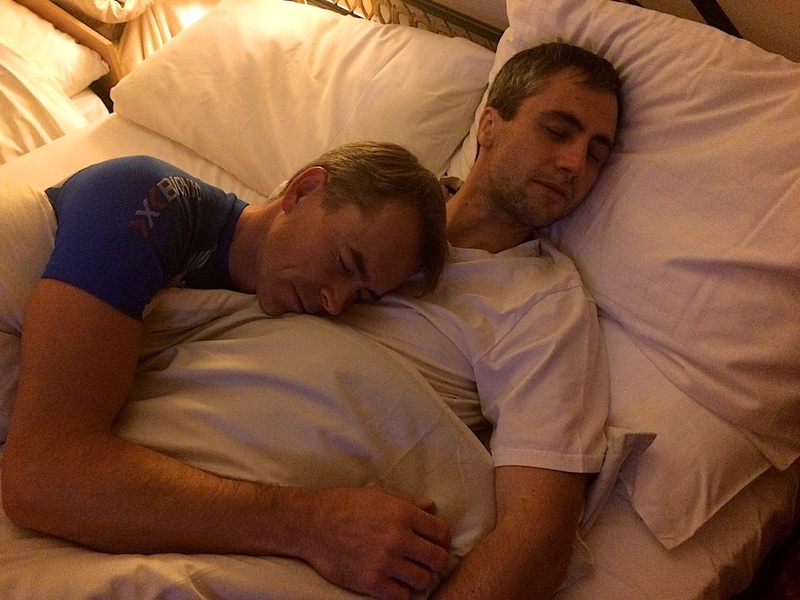 Mark and I stayed together for most of the first lap. After Tor-y-Foel the route follows the old railway track, which did become a little tedious but eventually reaches the second climb. This is a much more shallow, but long ascent to the highest point of the race at The Gap. It’s a stunning view if you manage to see it without too much cloud cover. We were incredibly lucky with the weather. It was sunny all day, but the views did look different in the morning and the afternoon. There was some low cloud or mist on our first lap, but it was still stunning. Mark had a problem with his knee on the Gap road and I was worried he might not make it to the end of the lap let alone the race. I felt a little guilty leaving him, but I had to go on. From The Gap, its pretty much downhill for the rest of the run. 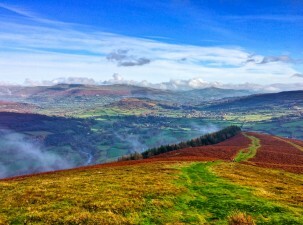 The Brecon Beacons Ultra route takes the Taff Trail and rejoins the canal for the final two miles of the lap. I reached the half way point with Mark, who had caught me up when I went wrong and missed a turning. It was lucky that a car spotted me and another runner and sent us back along the road. Mark’s knee issue had settled and he was running again, but he was tired. 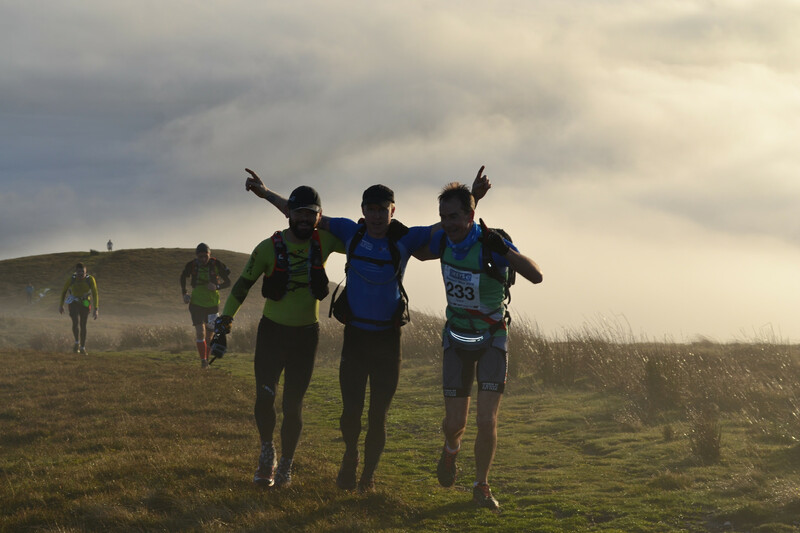 I forged ahead again at the second climb of Tor-y-Foel and completed the remainder of the race by myself. Of course these events are often as much about the social aspect as about the run, so I ran with some people and chatted to others as I passed them or as they passed me. I ended up running much of the second lap with a chap called Richard Webster who had the number 1 on his bib. 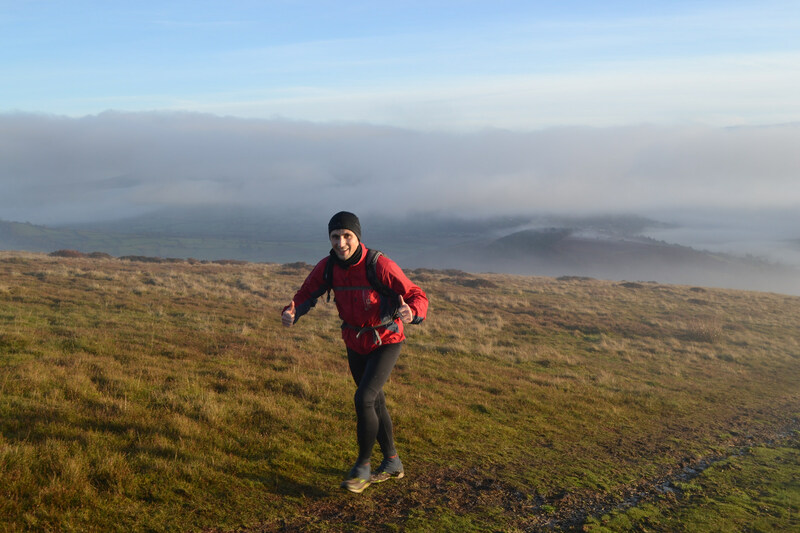 He has run all seven Brecon Beacons Ultra races and normally races them hard. But today he was running for fun. 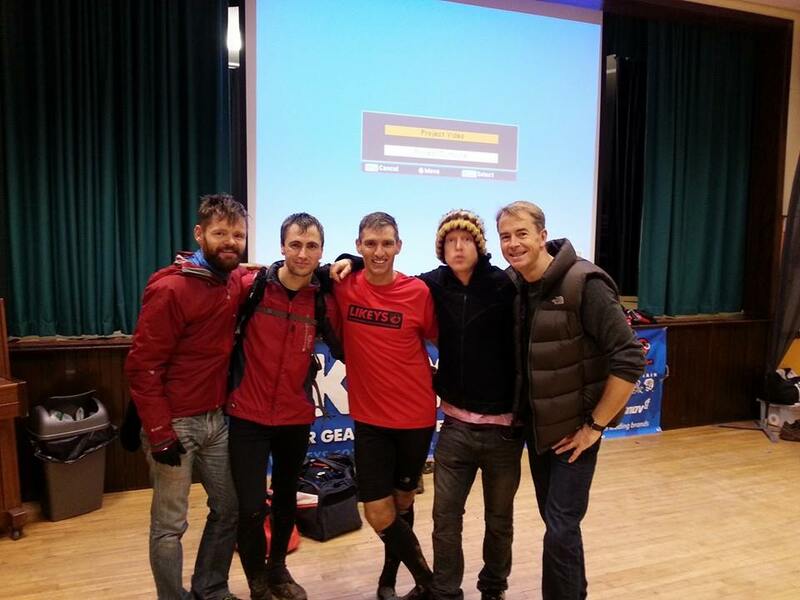 He’s done some pretty crazy ultra running in his time. Have a look. My nutrition was working perfectly. It’s worth noting that I have recently cut down on carbohydrates by a huge amount. I am eating hardly any pasta, rice, potatoes or bread. Am also not eating much fruit and, in general, no sweets or fizzy drinks. I’ve been replacing all that with oily fish, eggs, white meat, some red meat and vegetables. I’m also drinking full fat milk again after years on semi-skimmed. I have lost a few kilos and I think my running has improved. Of course for races I am taking some carbs. I’ve read that in order to burn fat efficiently the body does still require carbohydrates. So, on this regime I think my body is burning fat as fuel and during the run I did not hit the wall at all. I felt hydrated and fuelled for the whole day. Running along the canal for the second time I managed to put on a bit of pace and ran the last three miles at just over 8 minute mile pace! Probably due to the swig of coke I was given at a brief stop before the canal path! 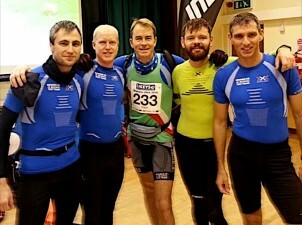 Team Green (Richard, Grant and Scott) completed the race in 8 hours 47 minutes. I came in as the light faded in 9 hours 25 minutes and Mark was not too far behind in 9 hours 45 mins. The team came in fourth place overall and 28, 29 and 30th individually. Although I guess that’s joint 28th if they all crossed the line together. I was 49th and Mark 64th. 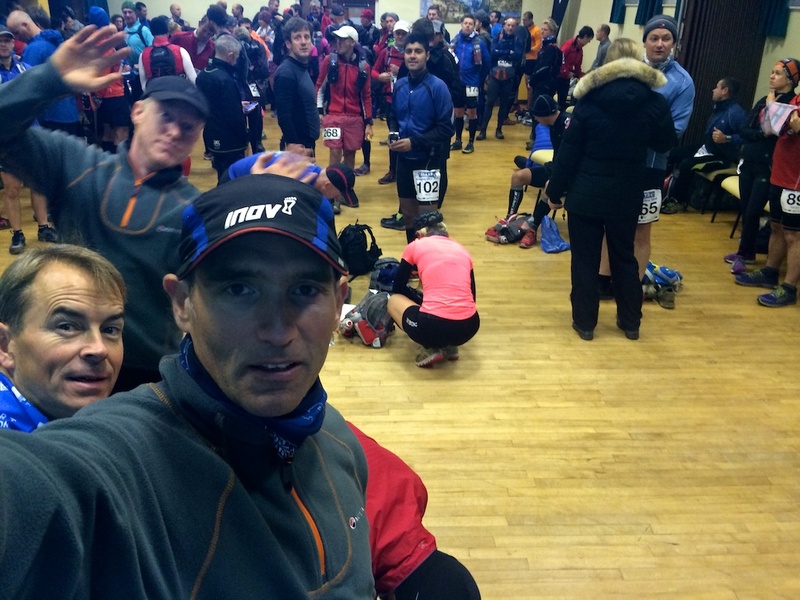 There were only 158 finishers, 19 dropped out along the way. Finishers get a technical t-shirt, but no medal. A little disappointing as I do like my bling! But no biggie. We attended the annual pub quiz after the race had finished. The last runners came in around 9:30pm. That’s a long time on your feet. The quiz didn’t start until 11pm and I was absolutely shattered by then. I just wanted to sleep and did nearly bail. However, we stuck it out and performed terribly, coming plum last! All in all, I can honestly say taking part in the Brecon Beacons Ultra is the best weekend’s running I’ve ever had. 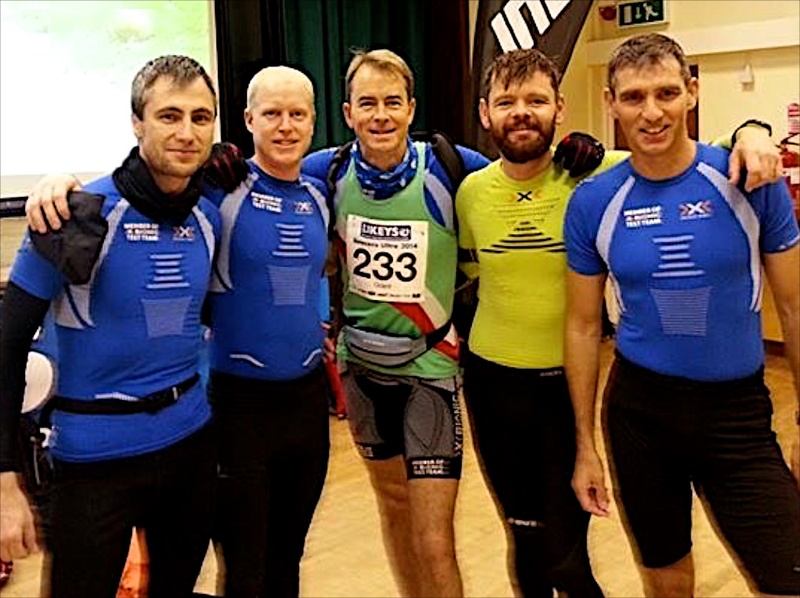 Thoroughly enjoyed the whole race, didn’t bonk, finished in a respectable time and had great fun meeting new people and bonding with the boys. I don’t know if we’ll be back next year as there are plenty more challenges to do. But we will certainly be back one day.